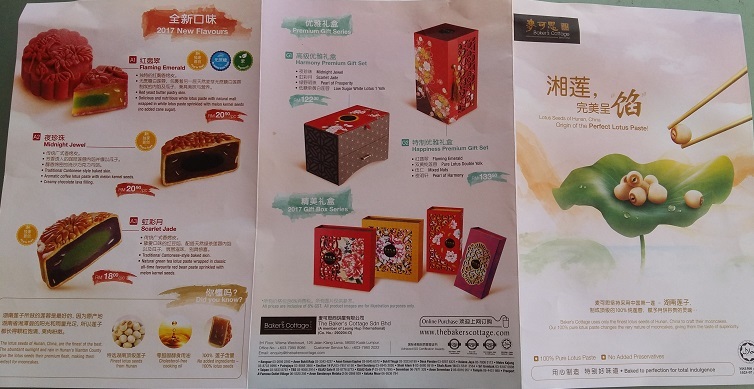 Many years ago, Bakers Cottage started introducing mooncakes as part of their annual sales. 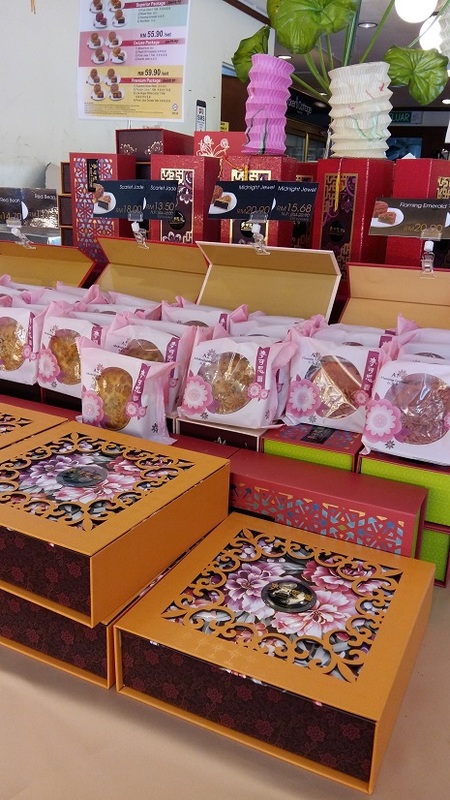 They started with beautiful mooncake boxes/ containers and come up with mooncake variants. 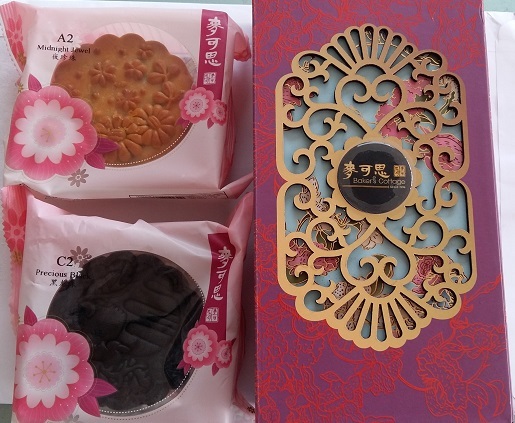 The sales of their mooncakes shot up, helped by the packaging. As many people are giving mooncakes as gifts, the outer appearance are very important. 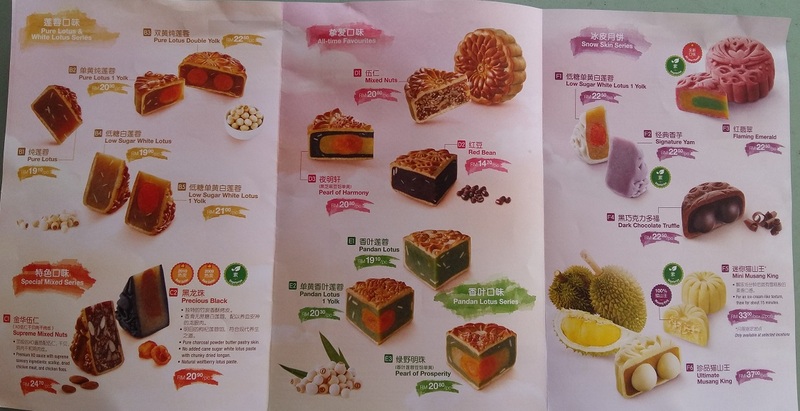 Recently I went to Bakers Cottage and bought some mooncakes to try out their selection this year. 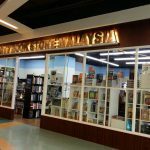 Note: I have also written about their 2018 mooncake offers. 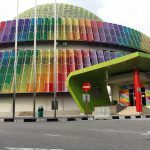 I was told by one traditional Chinese mooncake company that they would throw away their mooncakes if the mooncakes failed to be sold by the mooncake festival. This is to avoid people waiting to buy after the mooncake festival. However for Bakers Cottage, if I am not mistaken, they would not throw away but instead offer a good discount after the festival- in past years I remember seeing the offers after the festival. Personally mooncakes are really overpriced but a necessity as part of traditional Chinese custom gift giving. 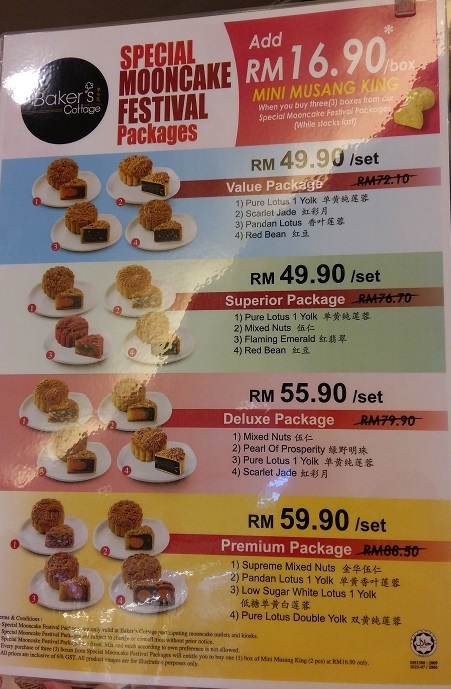 If you could learn to make your own mooncakes, you can really save a lot as well as able to give more and make more and eat till your heart’s content (be careful of the weight gain though).